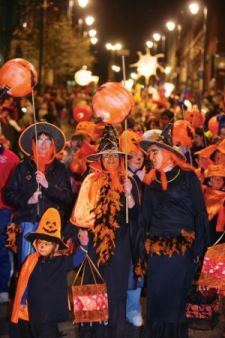 While the origin of Halloween doesn't lie specifically in Derry, the world's biggest Halloween party is held in that city every year. More than 30,000 people take to the streets, most of them dressed as witches, ghouls, vampires and monsters from the Otherworld. 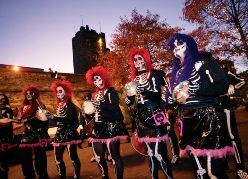 It's a time when you're almost certain to hear the Banshees screaming – assuming you can hear anything much above the marching bands, ceilidh music, hard rock and calypso as the carnival proceeds through the town. 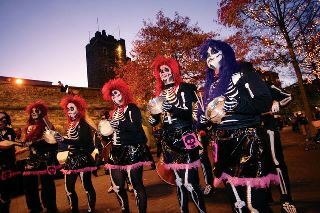 Waterloo Place plays host to a free concert, and many events, including Ghost Walks, are held throughout the city before a spectacular fireworks display brings celebrations to a close. The National Folklore Collection, which is managed at University College Dublin, has published a free booklet for Halloween. 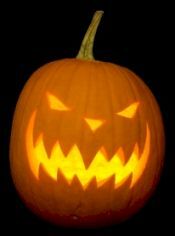 It explains the origins of Halloween and explores old Irish tales, legends and customs. You can download it (pdf 950Kb) here: Dúchas - Halloween. 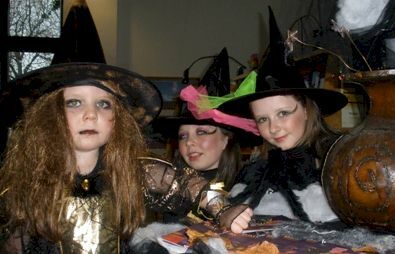 The National Folklore Collection, which is managed at University College Dublin, has published a free booklet for Halloween containing old Irish tales, legends and customs. 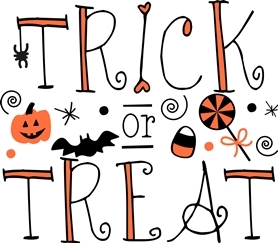 You can download it (pdf 950Kb) here: Dúchas - Halloween. Celtic tales are full of heroic warriors and mystical gods. They are also the origin of Halloween's (and Ireland's) preoccupation with the 'little people'. Academics have concluded that the little people were, originally, the pagan gods of Ireland who lost their significance and, metaphorically, their stature, when Christianity arrived. Despite their reduced state and retirement to the Underworld as fairies, a memory of their magical powers held fast in the imagination of the people. 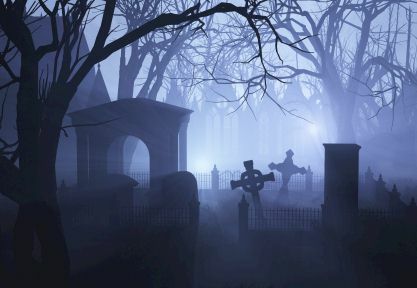 Here lies the origin of Halloween's dark side. There are two main groups of fairy: the trooping fairies who are, for the most part, friendly and have healing powers, and the solitary fairy who causes mischief and is quick to anger. Among the specific terrors of Halloween were the Fomorians who believed they had a right to take back to the Otherworld their share of fresh milk, grains and live children. The Leprechaun is the best known of the latter group. Find out more about the diminutive shoemakers. The fairy most connected with the origin of Halloween is the Puca (pronounced Pooka) who is decidedly malevolent and capable of assuming any shape. The puca is particularly adept at taking animal shapes, especially horses, so riders beware on Halloween – your 'steed' may not be under your control! The Banshee is another fairy, always female, who warns of approaching death by letting loose a terrible, eerie wail (the Banshee scream) that is guaranteed to send a shiver down the spine of those that hear it. If you hear the cry of the Banshee of Ireland, you should look out for a funeral carriage pulled by a headless horse. Perhaps the best-known of Halloween games is 'ducking/bobbing for apples. This is a game where the object is to retrieve an apple from a barrel or large bowl of water without using hands or feet. They are fun games in which all ages can participate, and apples were plentiful at this time of the year.